How Much is My Tree Worth? There are many instances in which you may need to determine the value of a tree on your property. If your trees are damaged or destroyed by vehicular accidents, storms, floods, lightning, vandalism or even air and soil pollution, you may be able to recapture your loss. Trees have value beyond aesthetics – they can act as a sound barrier, a privacy screen or windbreak and can offer winter warming and summer cooling. The loss of such a tree can add up in costs that may otherwise be missed unless a qualified arborist establishes its value. 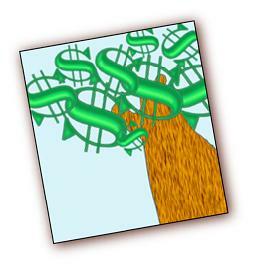 Several factors are considered in placing value on a tree. Sometimes the size and age of a specimen are such that it cannot be replaced. Species is also important with value varying according to region, zone, and even state and local conditions. Trees which are hardy, durable, and highly adaptable are worth the most. Trees in a healthy, well-maintained condition will also have a higher value. Additionally, site, placement and the contribution of a tree help to determine the overall value. 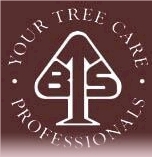 Our certified arborists use calculated and accurate means to determine value. The preferred approach is Cost of Cure followed by Cost of Repair. Then using a species classification guide, a Trunk Formula is applied. With this information, a Replacement Cost is determined and a Fair Market Value is assigned to the tree. Other value factors might include an evaluation of the cord wood or any productivity the tree may have had in fruit output. Do consider getting a second opinion on the value of your tree from a real estate expert who can relate it to the value of your property.